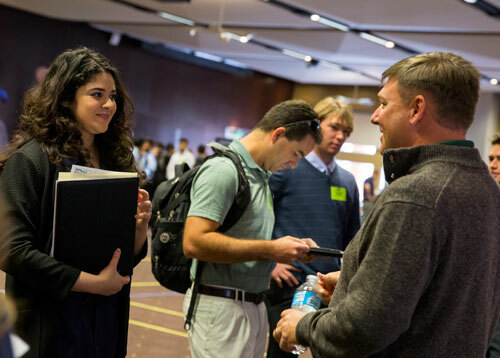 We anticipate 3,000 students will attend and connect with more than 100 engineering, construction and technology companies.See the list of companies that have already registered for Tempe campus and Polytechnic campus Career Fair days. Faculty are invited to join us on any day for the Dean’s Welcome with our industry partners at 11 a.m.
Dean Squires will be speaking to industry about our extensive engineering programs across Polytechnic and Tempe campuses. On September 14 and 15, 2017, both campuses will be active with companies conducting an estimated 500 or more interviews with students they meet at the fair. 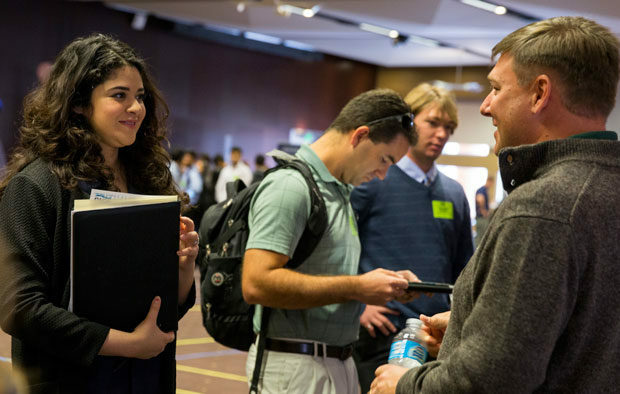 To help students prepare, career development, planning and interview preparation workshops are being offered on Polytechnic and Tempe campuses. 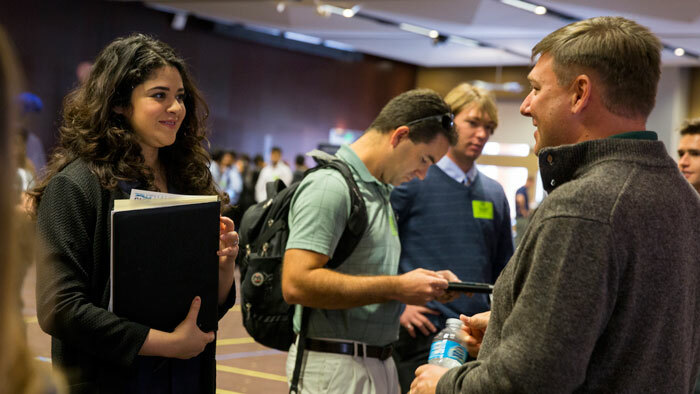 Watch the Fulton Schools Career Center website for the schedule of Tempe campus Career Development Events, and the ASU Events page for upcoming Polytechnic campus Career Development Events. As you know, this fair is at the height of our fall recruitment season and the Fulton Schools Career Center wants faculty to be aware of all the student opportunities surrounding our Ira A. Fulton Schools of Engineering signature events.